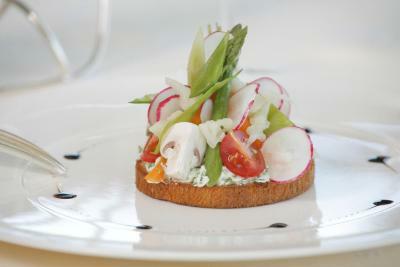 Lock in a great price for Hôtellerie Beau Rivage – rated 8.3 by recent guests! Absolutely magnificent!!!!!! The polar opposite of our experience at the Marriott in Lyons. Merci beaucoup Beau Rivage!!!!! Beautiful setting by the river. Dining was a lovely experience. Very friendly staff. Dinner in the hotel's restaurant was outstanding! Not to be missed if you are staying here. 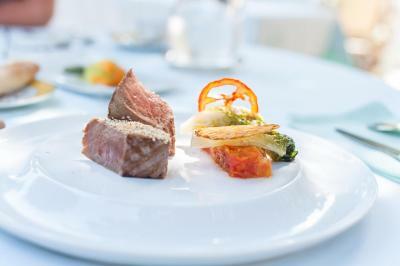 Every course was original, delicious and presented to a very high standard. Excellent service, too. Absolutely great. Even valet parking and assistance with bags to the room. Superb. High standard personnel, very cheerful and caring. 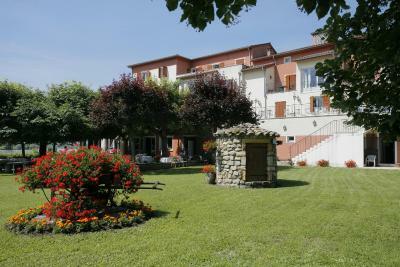 A very charming hotel with a fantastic view on the banks of the river. Wonderful view over the Rhone. Spacious suite. Convenient staging post on a journey south. The restaurant is really great. Refined kitchen. The location next to the Rhône is beautiful. 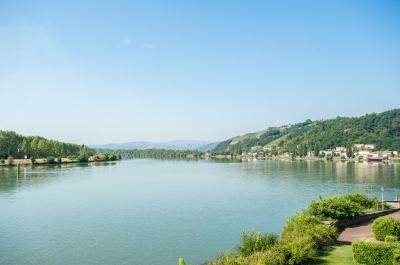 Located on the banks of the Rhône, Hôtellerie Beau Rivage welcomes you in a large family-run hotel offering a warm and friendly atmosphere and a unique charm. This property is located 24 mi from Lyon and the Confluence District where guests can enjoy its shopping center and science museum. Hôtellerie Beau Rivage features elegant and comfortable rooms and suites offering a refined decor. They are the perfect choice for a truly relaxing stay. 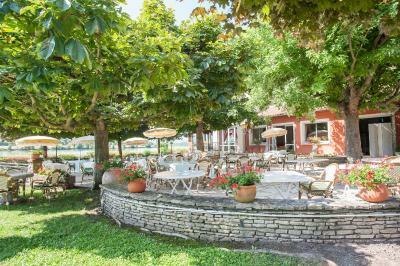 For your comfort, the hotel features a gourmet restaurant serving local specialties with a Provencal touch, prepared with fresh produce from the market. Hôtellerie Beau Rivage is the perfect choice to enjoy the beautiful light on the Rhône. 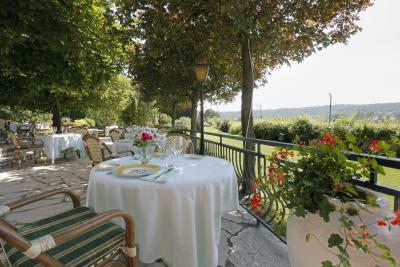 Have a relaxing moment on the terraces of the hotel, set beside the river, or in the shaded garden. The property is 24 mi from Lyon-Perrache Train Station. 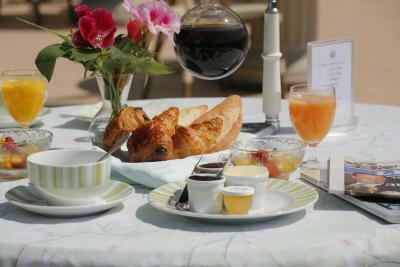 When would you like to stay at Hôtellerie Beau Rivage? Decorated in a traditional style, these rooms feature a mini-bar, a TV and a private bathroom with a hairdryer. Free Wi-Fi access is provided. These spacious suites feature a veranda and/or a terrace. Each has a separate lounge 2 flat-screen TVs and a separate bath and shower. 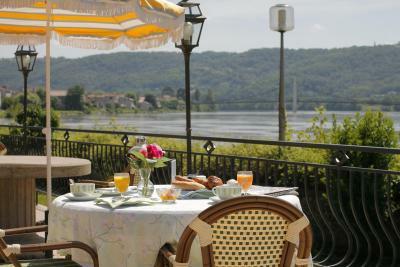 Some suites offers views of the River Rhône while others have garden views. These traditional rooms are decorated with a mix of contemporary and antique furniture. A TV, mini-bar and private bathroom with a hairdryer are provided. Please note that these rooms are not serviced by a elevator. Decorated in a traditional style, these rooms feature a mini-bar, a TV and a private bathroom with a hairdryer. Free WiFi access is provided. Return transfers from the hotel to the city center are offered for all days of the booking. House Rules Hôtellerie Beau Rivage takes special requests – add in the next step! All children under 2 years are charged EUR 27 per person per night in a crib. Hôtellerie Beau Rivage accepts these cards and reserves the right to temporarily hold an amount prior to arrival. No shower except above the bath. The rooms were old fashioned. The hotel tried to charge for 3 breakfasts which we didn’t have. Breakfast was only ok, coffee average; not very hot and scrambled egg overcooked and cold. Wines expensive at dinner but there was an awesome selection to choose from. Beautiful terrace outside directly on the river. Quiet rooms. Excellent staff. Well equipped rooms. Secure Parking onsite. Had a terrific dinner. Room was not as advertised. Very far away from from main reception, not comfortable beds, poor decor. Restaurant- limited menu and very expensive. 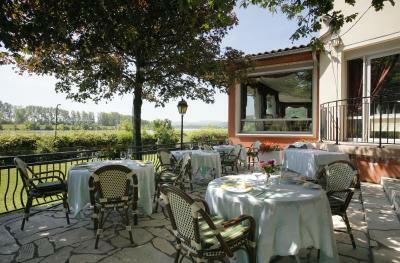 Beautiful location and excellent restaurant! 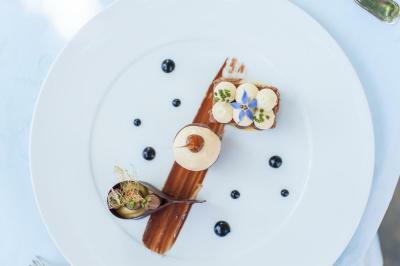 One of the desserts in the restaurant. 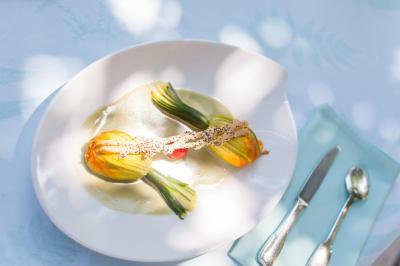 The food was beautifully prepared in all other respects. 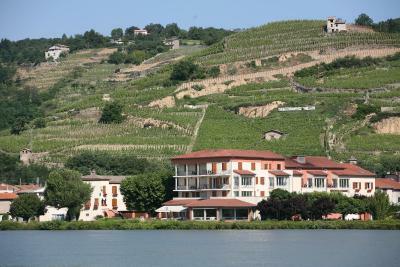 View of Rhone from balcony. Worth the extra cost! Could do with a swimming pool.